Manchester United Football Club’s extensive list of out-of-contract players was reduced by one yesterday, with Luke Shaw putting pen to paper on a new deal. 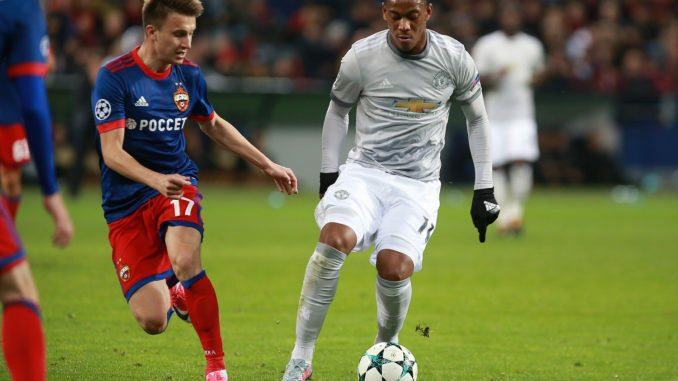 However, there is concern growing in regards to Anthony Martial. According to French media outlet, RMC Sport, translated by the Manchester Evening News, the attacker has rejected several offers that the Red Devils have sent his way. Martial has just this season left on his current deal, although United do have the option to extend his contract by a further year if they so choose. Obviously, though, United are hoping to keep him in the long-term. After Martial made it public knowledge that he wanted to leave Old Trafford over the summer, I always had my doubts about him signing a new contract. Although he has played over the last few games, his issues about playing time are still valid. You can bet your bottom dollar that as soon as he has a bad game, he’ll be back on the bench watching Alexis Sanchez once again. I just don’t get it. He’s been our most consistent attacker since he made the move to United, yet he’s not getting the backing that others are. We need to put real faith in him from now until the end of the season if we have any hopes of him signing a new contract.